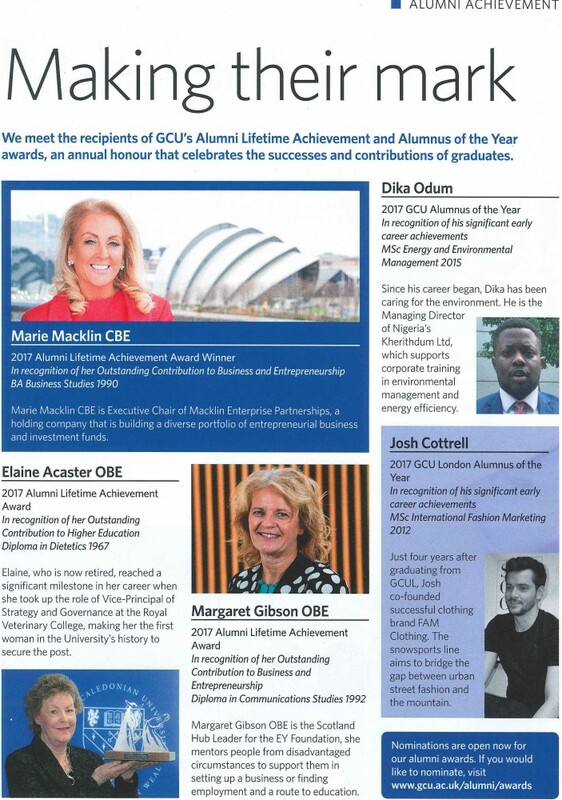 In recognition of her Outstanding Contribution to Business and Entrepreneurship Marie Macklin CBE has been recognised as Glasgow Caledonian University’s 2017 Alumni Lifetime Achievement Award Winner. Marie Macklin CBE is executive Chair of Macklin Enterprise partnerships, a holding company that is building a diverse portfolio of entrepreneurial business and investment funds. Marie studied BA Business Studies at GCU in 1990.